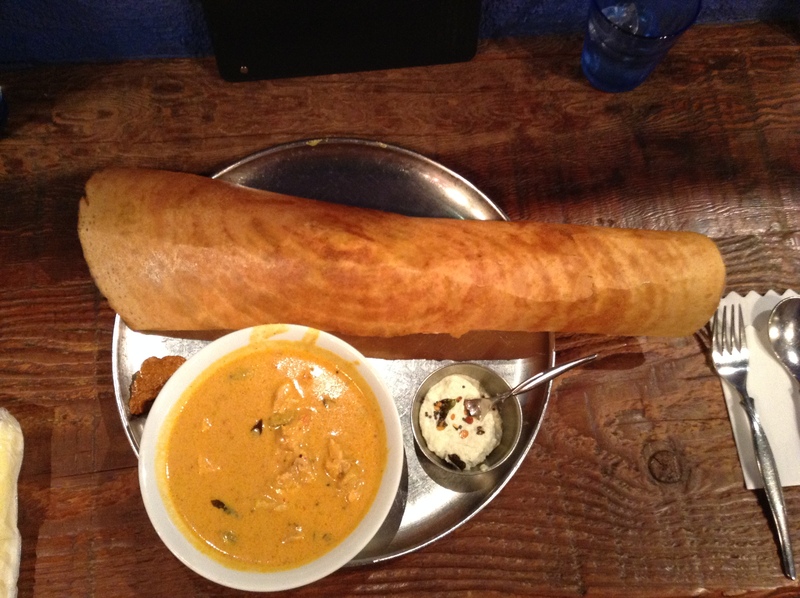 I remember ten years when I first had a dosa at Dhaba in Kyobashi. I was in heaven. It immediately brought me back to the first dosa I had in Singapore a decade before. I couldn’t believe that this was in Tokyo and that I didn’t know about it. Luckily I was working at Takashimaya in Nihonbashi and would come here for lunch from time to time. A decade ago I could usually walk in and get a seat right away. On a recent lunch I was surprised to see a line out the front door. Dhaba India is a sweet spot for Southern Indian in Kyobashi, a very short walk from Tokyo Station’s Yaesu exit. Many of the diners are eating dosa, and the naan is great, but I come here for the dosa. Breaking up the crispy dosa shell is great fun, until it comes to an end. The curry doesn’t seem to be modified for the Japanese palate. The Masala Dosa here at lunch is 1,400 JPY. It’s a bustling restaurant, filled with a mix of area salarymen and office ladies. Try and avoid the noon lunch rush. The only thing I find strange about this shop is that they do not let diners look at their iPads during the meal. I could snap a quick photo of my lunch, but was asked to put it away. I was told that there was a sign on the outside of the restaurant, which there was, about this ban on electronics. I guess this is a good thing and a habit we all should be doing.